Quick recap of last week, which ended up being slightly busier than planned, and as usual, made awesome with stellar company. 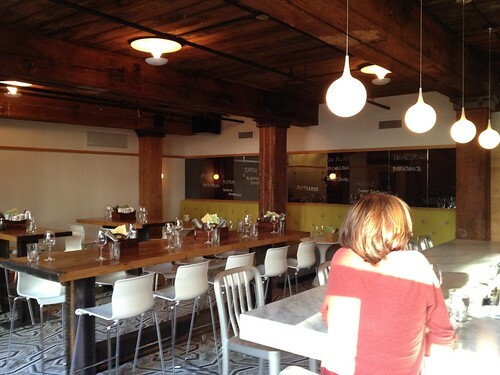 Went to the new Belly wine bar / gastropub in Kendall Square on Monday with a friend. We’re both foodies and she’s also industry, so we showed up early a day after they opened, chatted a bunch with the staff, and had a great time. I love their idea, want less Beaujolais on the menu, and wish they took reservations. The charcuterie and cheese options at Belly were very good. After that I met another friend for dinner at Vejigantes, the Puerto Rican place in the South End. 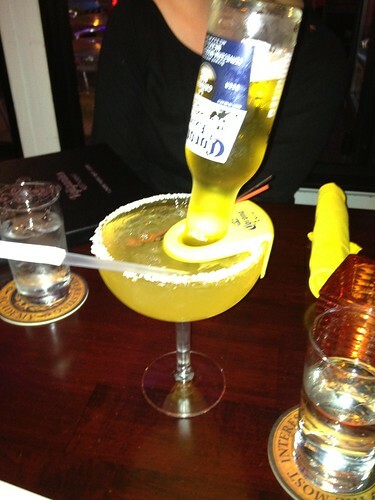 There too the food was delicious, and the Coronamea was a fun drink combining a margarita with a Corona. 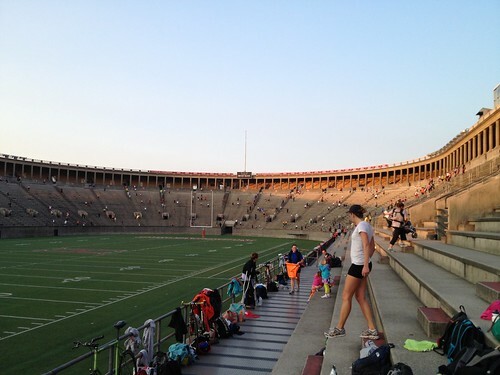 I didn’t drink too much, since I had a 5:30am wakeup the next morning to run the stairs at Harvard Stadium. The November Project is one of my new favorite things in Boston. I actually joined before my trip, but it’s become a regular thing now for me, and the group has grown a lot too. It’s free, open to the public, friendly, welcoming, and has many fun folks. Three workouts a week at 6:30am, rain or shine, all weather, all seasons, and they’re each hard. I don’t do the Monday morning one, but Wednesdays at Harvard Stadium and Fridays at Summit Ave are a ton of fun. I started and finished before the main group, which you can see above. Last Wednesday I set a new personal best for the “full tour,” i.e. once around the entire Harvard Stadium, which always feels great. It’s a brutal workout, maybe the hardest one I do all week. It has not been getting much easier. I wonder how many people will drop as the weather turns wintery. 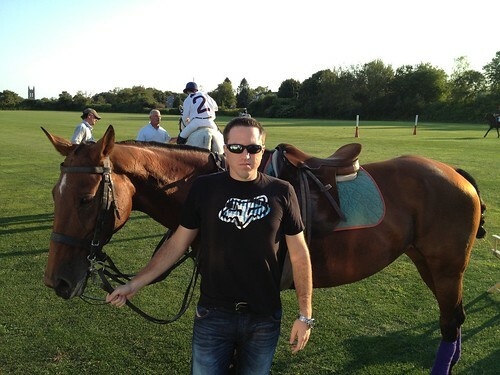 On Thursday after some morning business, I joined a friend down in Newport, Rhode Island, for an afternoon of polo. I had never seen it in person, and it was interesting, entertaining, and fun. I forgot that each player has multiple horses, or ponies as they’re called, leading to a whole bunch of horses being around waiting for their turn to play. Gaucha, a friendly well-trained horse. While I can’t ride well and can’t play polo well at all, this was still a fun experience, especially observing my friend play. Unfortunately I had to leave early-ish to drive back to Boston, missing the post-match BBQ. 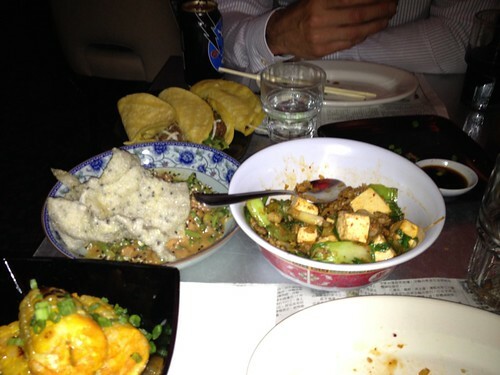 I had dinner that night with another good friend and business colleague at Myers & Chang in the South End. I hadn’t been in a while but remembered how much I liked the braised pork belly buns. Having just been to Hong Kong (more on that in an upcoming #rtw2012 post), I wanted to compare — and these stacked up very well. Brogan’s pic, not mine, from the hill on Friday morning. 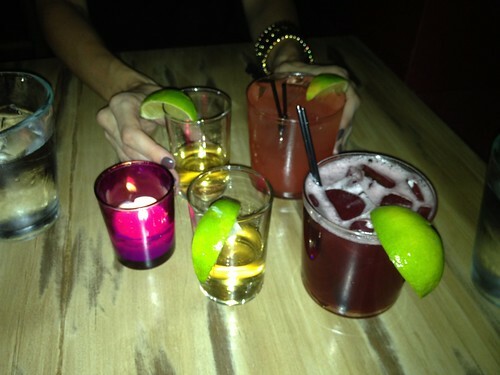 That evening the big event was Paul Oakenfold at Royale, but we grabbed some tequila and dinner at Tico first. I love their crispy pork bellies — so good! And a nice selection of tequila as well. 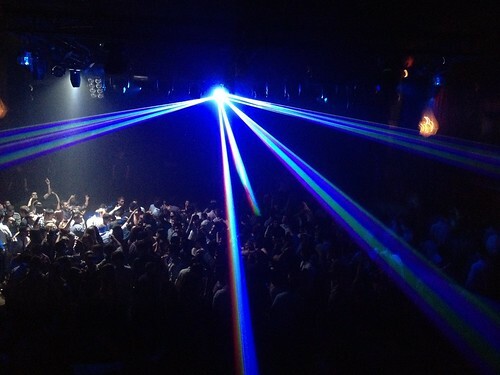 Oakenfold was excellent. He’s become a bit more mainstream, a bit more Guetta-ish in style over the years, but his technical skills and track selection, as well as crowd reading and reactions, remain top-notch. Without much advanced planning, I’ve now seen him, Paul van Dyk, Tiesto, Armin van Buurden, and John Digweed live this year, plus a handful of other notable DJs. It’s been a great year in that regard. 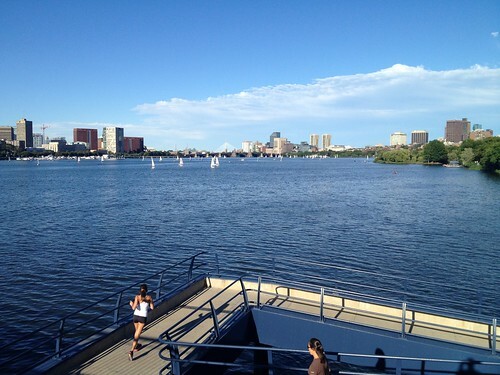 The next day, a Saturday, I went for a short run that turned into a 10K, and then a 5K row in the Charles river, taking advantage of the beautiful weather. Unfortunately I only did this on 2.5 hours of sleep, so it was more of a challenge than usual, but perhaps a good simulation for Ironman conditions. Another gorgeous September day on the Esplanade. After that I met a couple of my best friends for lunch at Xinh Xinh, the lovely authentic little Vietnamese place in Chinatown. 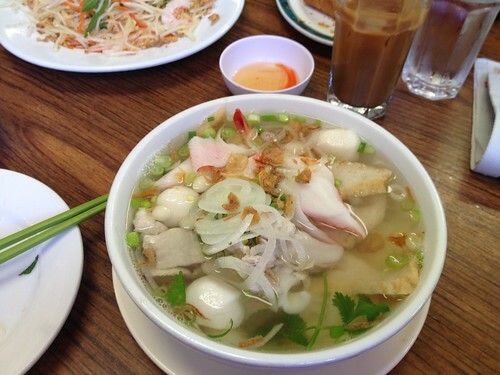 I had some excellent pho-type noodles, #33 on their menu, a seafood special stew noodle thing. From there I met up with another crew for the Michigan football game, at Sweet Caroline’s near Fenway Park. I didn’t realize this was the “home bar” of all Boston-area (or even wider…) Michigan alumni and fans. It’s official, with banners and people dressed up and everything. I caught a good video of some cheering after a touchdown, and enjoyed the game atmosphere, even though I have no particular connection to Michigan. After the game we went down Boylston Street to Sweet Cheeks, as I was craving BBQ. Like any good Jew, I got pork ribs, pork bellies, and pulled pork. We also shared some awesome biscuits. One member of our party, the guy who had the best role in this week’s HubSpot “Gangnam Style” video, is from the southern US, and he testified as to the quality of the food at Sweet Cheeks. Saturday night needs to stay off this blog, I think 😉 At least for now. 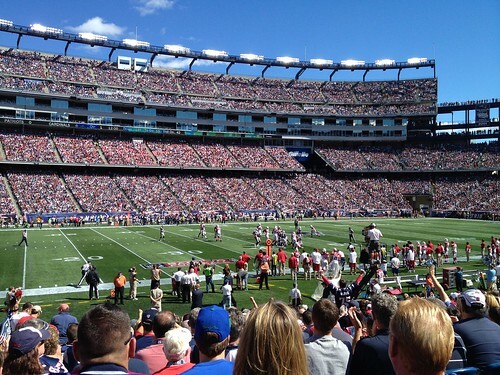 But then Sunday was also great, as I went with a friend to the Patriots home opening game. We had solid seats down near the field, and it was a beautiful day. Unfortunately the Pats lost in an upset 😦 They deserved to lose, and I hope they learn some lessons, improve fast, and win the rest of their games. This week at Baltimore will be tough.